The death of footballer, Emiliano Sala is causing ripples between Cardiff and French side, Nantes. According to Daily Mail of UK, Cardiff ‘may sue Nantes’ following the death of club record-signing Emiliano Sala. 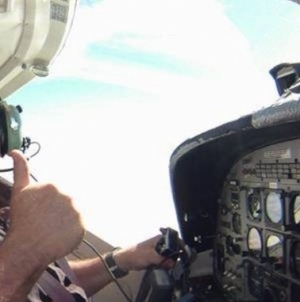 The Premier League club have found no proof that the pilot of the plane that crashed in the English Channel had the right licence to fly Sala following an internal investigation, according to the Telegraph. The paper has reported that if the Air Accidents Investigation Branch can support Cardiff’s evidence that pilot Dave Ibbotson was not allowed to ‘carry passengers on a commercial basis’, that would be negligence on the part of whoever selected him. Willie McKay and son Mark helped organise the trip from France to the Welsh capital and senior members at the club also believe they could be liable, as well as the Ligue 1 side – whom the two agents were working on behalf of. 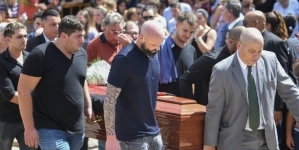 Cardiff boss Neil Warnock and club CEO Ken Choo joined mourners at the funeral of Sala in his hometown in Argentina on Saturday. 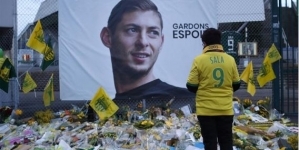 Sala died on January 21 when the plane he was travelling in crashed in the English Channel after he had visited players at his former club, Nantes. His body was pulled from the wreckage on February 7 but the British pilot, Ibbotson, 59, from Lincolnshire, has not been found. Meanwhile Cardiff have contacted other top-flight clubs in an attempt to establish whether there may be grounds to avoid paying the full £15million transfer fee being demanded by Nantes for Sala, The Mail on Sunday has revealed. January 21, 2019: The single-turbine engine Piper PA-46 Malibu leaves Nantes at 7.15pm for Cardiff and is flying at an altitude of 5,000ft. At 8.50pm the plane disappears from radar in the English Channel. 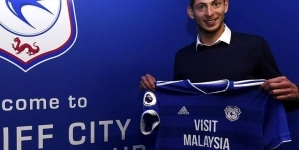 January 22: The French civil aviation authority confirms Argentinian footballer Emiliano Sala, 28, who had just signed for Cardiff City, was on board the light aircraft. Piloting the plane was David Ibbotson, from Crowle, near Scunthorpe. January 24: Guernsey’s harbour master Captain David Barker says the chances Sala and Mr Ibbotson have survived is ‘extremely remote’. January 26: It emerges that football agent Willie McKay arranged for the flight to take Sala to Cardiff but he says he had no involvement in selecting the plane or pilot. He also backs calls for the search to continue. January 27: Relatives and friends of Sala arrive in Guernsey, having enlisted the help of shipwreck hunting expert David Mearns. January 28: Sala’s family, including his mother Mercedes and sister Romina, take a chartered flight in a plane operated by Guernsey airline Aurigny over the area where the plane disappeared. January 30: The Air Accidents Investigation Branch (AAIB) says two seat cushions found washed up earlier in the week near Surtainville on the Cotentin Peninsula are likely to have come from the plane carrying Sala and his pilot. February 3: Wreckage of the plane is located in a fresh, privately funded search which was made possible after a fundraising campaign saw more than £260,000 donated. Feburary 4: A body is visible in seabed video footage of the wreckage of the plane. The AAIB says the footage was filmed using an underwater remotely operated vehicle (ROV) which was surveying the area after the plane was located. February 6: A body seen in the wreckage of the plane is recovered. The AAIB says the body will be taken to Portland to be passed over to the Dorset coroner for examination. February 7: The Geo Ocean III search boat returns to dock in Portland, Dorset, carrying the wreckage of the Piper Malibu aircraft. February 8: The body that was found in the wreckage was confirmed to be Sala’s. February 11: Post-mortem reveals Sala died from ‘head and trunk injuries’ after the plane he was in crashed. February 16: Sala’s funeral takes place in Argentina with Cardiff manager Neil Warnock among the guests.